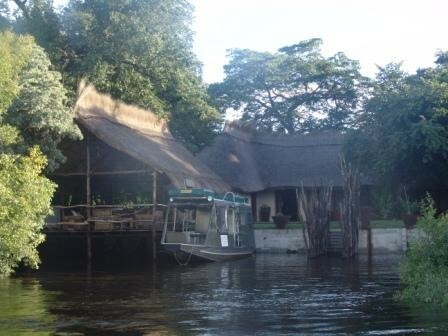 Caprivi Houseboat Lodge & Safaris is an exclusive lodge nestled amid a lush green garden on the banks of the Zambezi River, a few kilometers east of Katima Mulilo in the Caprivi Region of Namibia, offering genuine hospitality in a relaxed and informal atmosphere. The lodge offers five rustic en-suite chalets on the water's edge, a rose wood deck with lounge bar and swimming pool to relax in. Let hosts' angling guides take you to the rapids for the best tiger fishing in the Upper Zambezi, join for a night boat cruise to spot resident Pel’s Fishing Owl or relax with a refreshing sundowner on a sunset cruise. Depart from the lodge on one of specially designed safari boats for a safari down the Zambezi and/or Chobe Rivers to enjoy the spectacular views and an abundance of game and birdlife this region has to offer. 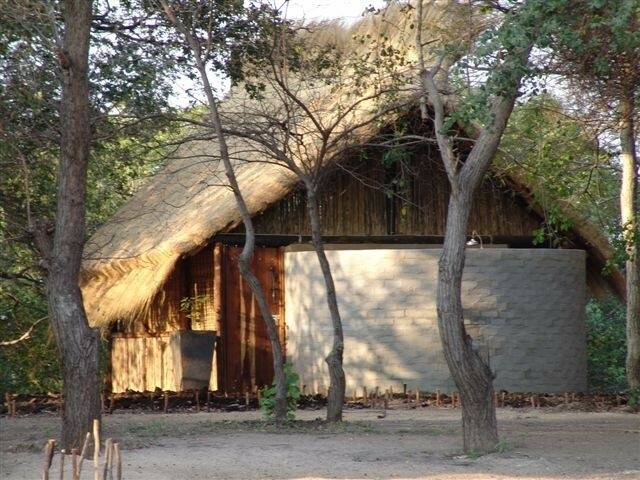 Rustic thatched en-suite chalets on the banks of the Zambezi River - equipped with coffee station, ceiling fan and mosquito nets. 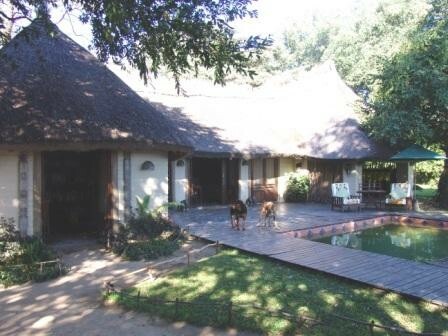 Bed and breakfast, dinner bed and breakfast and self-catering options available. With a myriad of fish species abundant in the Zambezi River, ample angling opportunities are on offer. Famous for its tiger fish and bream, the river promises to challenge and enthrall both the angling enthusiast and the novice. In close proximity to the lodge there are excellent tiger waters at the Wanela rapids and other rock beds. By staying at the lodge these waters prove an easy morning / afternoons angling. Other angling waters are 40 - 60km from lodge's base with good tiger and bream angling spots. 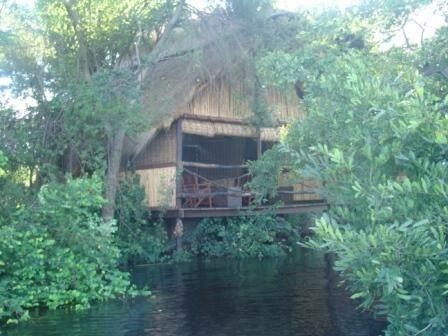 This is possible to do in a day trip returning to the lodge at night or otherwise to camp for a night or two with the houseboats as base camp along the Zambezi River. Best angling times run from late April through to January for tiger fish and catfish species and from June through to November for the bream species. Angling boats can be rented on a half or full day basis. All boats hired are accompanied by a skipper. Knowledgeable guides for specialized angling safaris can also be arranged. Relax with a refreshing sundowner whilst enjoying a spectacular sunset over the Zambezi River. Enjoy a leisurely day on the Zambezi and a picnic or braai lunch along the riverbank. In close proximity to three other countries, day trips and transfers can be arranged to the Chobe National Park, Victoria Falls, Ngonye Falls and the Bwabwata, Mamili and Madumu National Parks. 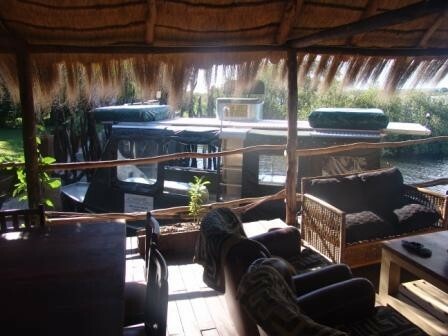 Overnight safaris on lodge's houseboats will take you down the Zambezi and/or Chobe Rivers to enjoy, with the river as your platform, the fascinating array of fauna and flora this region has to offer. Travel at a leisurely pace down the expanse of these mighty rivers with its endless floodplains and breathtaking sunsets. In the evening relax around the warmth of a campfire on a secluded white sandbank before heading to the comfort of your tent, gently rocking to sleep to the sounds of an African night. Camping safari boats are 7.5m aluminum Outback Safari Boats (a waterborne 4x4 safari vehicle), powered by 75hp outboard engines. With two roof top tents and a bunk bed on the lower deck each boat can accommodates up to six guests. On board is a small kitchenette with a gas stove, basin and fridge, a dining area, shower and toilet. The boats are equipped with all the necessary kitchenware and camping equipment. An assistant will accompany you and will mainly serve as skipper, assisting in other duties where and when possible (i.e. setting up camp, making fire etc). 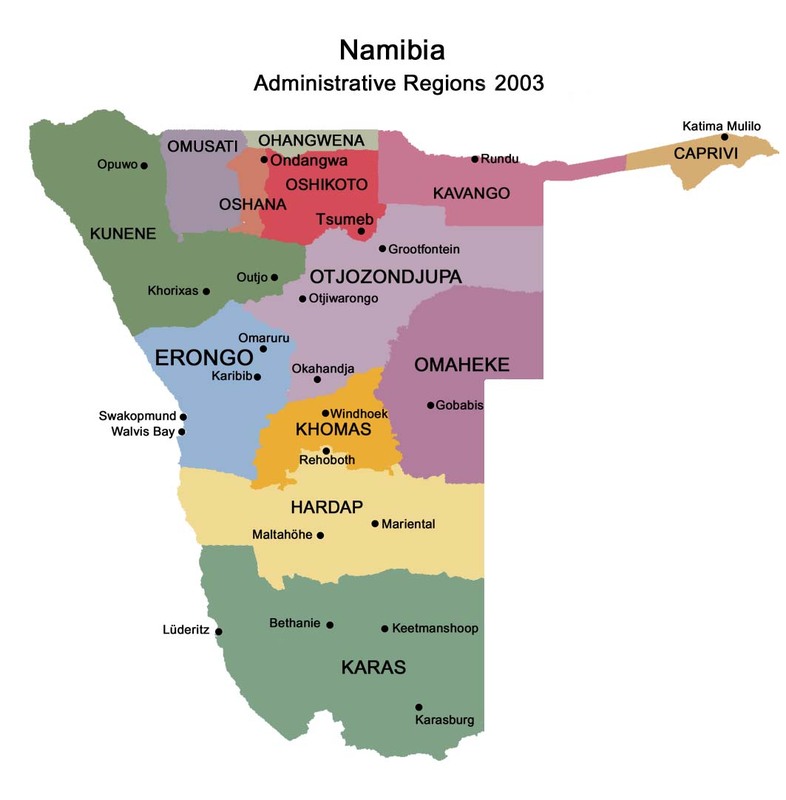 The Zambezi River is the fourth largest river system in Africa. 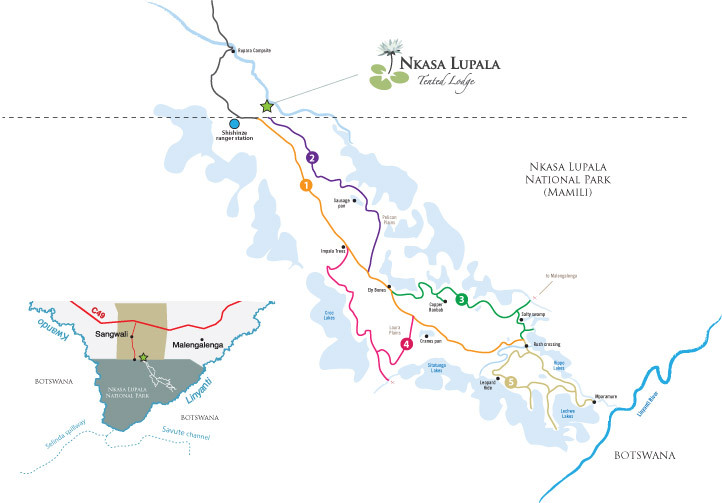 Beginning its journey as an insignificant little spring in the northwest corner of Zambia it runs for a length of 2700km through six countries before finally completing its fascinating journey in the warm waters of the Indian Ocean. 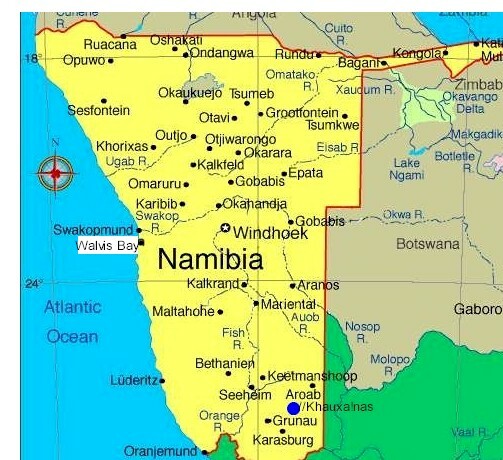 For 130km this river forms the border between Namibia and Zambia. Forming the southern border between the Eastern Caprivi and Botswana, the Chobe River meanders eastwards through the Chobe National Park to meet up with the Zambezi River at Kazungula. The clients supply own foodstuff and beverages and prepares all the meals themselves. Hosts supply all the necessary foodstuff accompanied by a guideline menu. Meals are all prepared by the clients themselves. The skipper will assist with the cooking duties where and when possible. Beverages can also be supplied according to your specifications. 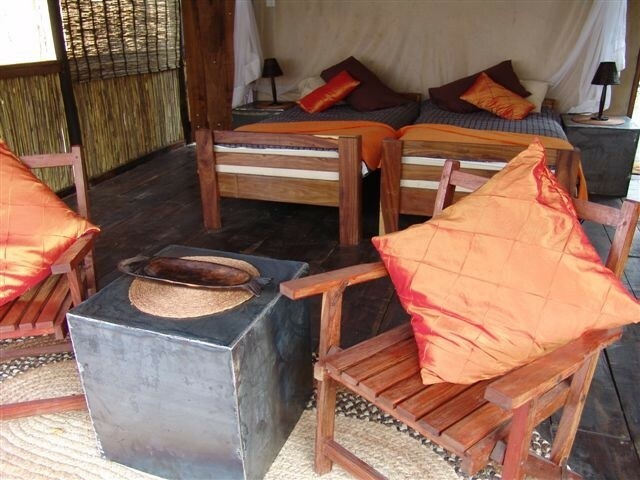 The lodge is easily accessible by road with good tarred roads leading in from Namibia, Botswana and Zambia. Follow the B8 en route to the Botswana (Ngoma) border, turn left on the gravel road, our entrance is 800m on your left.